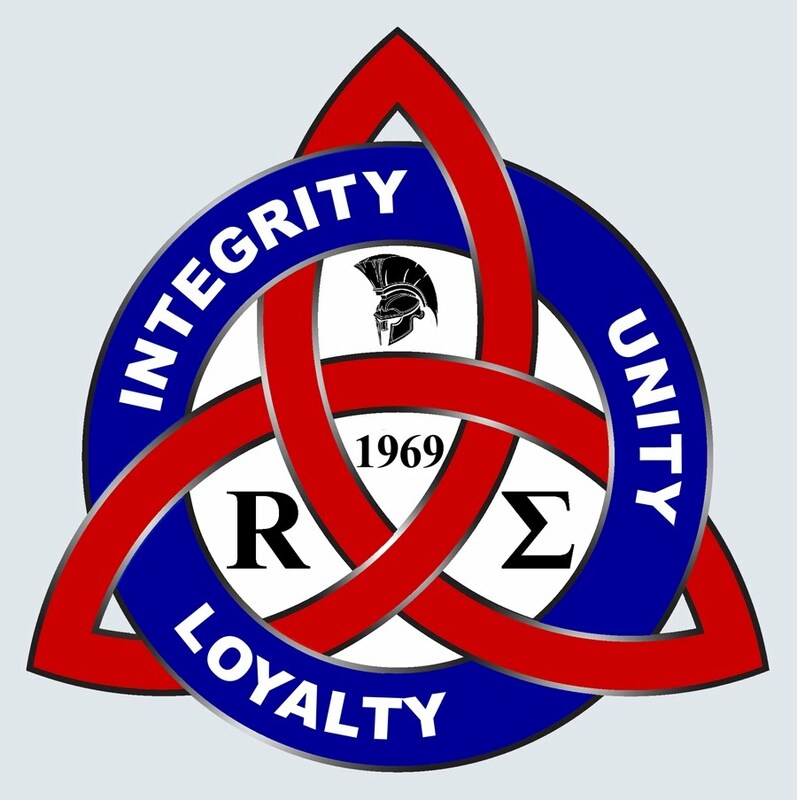 The ROMAN SIGMA National Convention is the bi-annual gathering of members and representatives from each active University and Community Chapters and Council of Nobles from all over the world. The purpose is to reconnect with brothers and sisters after many years of separation due to each one pursuit of life, to be able to recollect their camaraderie and campus memories. Importantly, the gatherings intend to make decisions that will guide the future of the brotherhood. The National Convention is a venue for exchanging of ideas, networking and leadership skills enhancement activity for future chapter leaders. But the best part of attending the National Convention as an alumni or student is to be able to refresh our memories our history, traditions, principles and tenets. The convention will enrich our comprehension about our organization’s identity. We will also learn from the convention speakers the new roles of collegiate fraternal organizations. Also, we will be thrilled at the prospect of participating in debates on organizational issues and eventually voting for its legislation. We will be proud part of RS history as delegates who have voted or been voted upon to become leaders of the first ever RS International Executive Council. Student brothers and sisters are encouraged to participate in the National Convention. The event will give them the opportunity to learn leadership skills that they can use beyond college. It will also give them the chance to build new friendship and strengthen bond with their older brothers and sisters- many, are now successful in their particular fields. The experience can bolster their confidence towards attaining their dreams. Their encounter with the ICONS of the organization will inspire them to live the tenets of ROMAN SIGMA. It is very important that all chapters are represented in each National Convention. Existing Chapters should send at least three delegates to represent their members in the decision making during the convention. Yet, there is no limit on the number of members a chapter would send. The more members-participants a chapter could send would be better. The “Convenors”, originally numbering 5 members later expanded to 11 members to form the Steering Committee. This group of busy people, some are living abroad spared some of their precious times in between their busy schedules to direct and facilitate the organizing of the 1st and 2nd National Convention. It is composed of several working branches; The Solicitation Committee, works double time in fundraising to make sure there will be enough fund to pay the for the convention expenses and, the Hosting Committee, subdivided into another working branches, does most of the dirty job ranging from venue and food preparation, accommodation, publicity to fund collection and purchasing of convention kits and complimentary items. The Steering Committee facilitates the selection of future venue of the National Convention two (2) years in advance. It is done by considering the bids of interested chapters during the convention plenary. It is anticipated that the venue rotates every two years between Luzon, Visayas and Mindanao regions. The location of the next venue is announced at the end of each convention. The bulk of the fund is generated from pledges and contributions by members of the alumni Council of Nobles collected from local and abroad. Members who are sending donation please notify the Solicitation Committee through Sis Elgien Verano before sending for proper guidance on the beneficiary account and for recording and counter checking purposes @ elgien_verano@yahoo.com. Registration for ROMAN SIGMA National Convention 2012 is now open! Please contact Sis Gina Perez-Johnston, Chairperson of Hosting Committee for details. 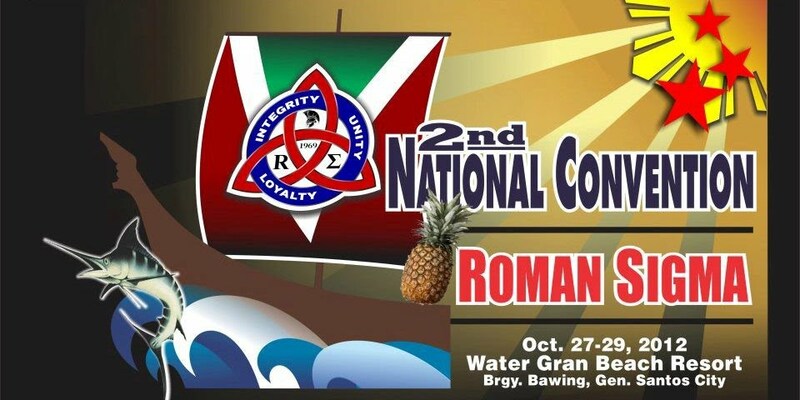 The Convention is open to all members of ROMAN SIGMA and their immediate family members. Each Chapter will designate 3 voting delegates for the elections of open offices of National Executive Council and for selections of national headquarters’ location. All delegates except the associate members (immediate families) will have voting rights for matters such as Constitutional amendments and others. Chapters may pre –register naming their delegates for example; Alpha (MSU-Marawi) Chapter delegate #1-Elias Egam. Send your registration and other fees to Sis Gina Perez-Johnston-Bank Account # 188-121251-1 China Bank, General Santos City Branch.